Want to PR in the half? Then we've got the plan to get you to the finish. High off your first half marathon and eyeing your second? Or maybe have multiple 13.1 medals dangling from doorknobs and stuffed into drawers? Regardless of how many darts you have on your running board, nabbing a new personal best never gets old. What’s more rewarding than setting a goal time, training hard, and nailing it on race day? 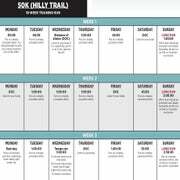 This plan is designed for a runner looking to hit the 1:45, 2:00 or 2:30 mark in the half marathon. That’s right: One plan for three goals. Why? Because speed is relative. Someone training for a 2:30 is working just as hard as someone aiming for a 1:45 finish. Despite different paces, the effort is equal. Designed to be flexible, this plan is meant to cater to different fitness levels. The seasoned runner can choose the higher end of the mileage and intervals given, while a newbie should employ the lower end of the ranges. Intermediate runners can choose somewhere in the middle or mix things up to individualize their training. Before starting the program, you should have a solid base of at least six months of consistent running and be able to comfortably cover a 5- to 6-mile run. 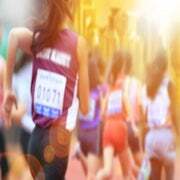 A recent 5K or 10K is helpful and can be used to determine what goal time you should reasonably target. Uncover your appropriate half-time objective by letting a shorter-distance race time be your guide. Your half-marathon goal will dictate the minutes-per-mile time you target in workouts. *Use faster end of range for tempo runs lasting up to 20 minutes. Ease toward the slower end as they progress over the 20-minute mark. CLICK HERE FOR 12 WEEK HALF MARATHON PR TRAINING PLAN. Don’t be overly concerned about how fast you’re moving on easy days. You should feel fairly comfortable and be able to talk without getting too winded. This pace, or slower, is also used for any warm-up and cool-down. Fartlek intervals improve your maximum oxygen consumption, economy and speed while building mental focus and strength. These strides will feel tough, like you are exerting about 85 to 95 percent effort, and breathing will be heavy. The challenge is to run all the intervals at a consistent pace. It’ll feel easier at first, so hold back early. The money is in the last couple. If your race is hilly, consider doing some of your fartlek sessions uphill. Start with a 1- to 2-mile warm-up before diving into your first interval. After each harder effort, jog and/or walk the minutes indicated for recovery. Finish the workout with another easy 1 or 2 miles to cool down and get in the total miles listed. Long runs are run at a mostly comfortable and conversational pace. Bonus points if these are run on terrain similar to what is expected on race day. You can’t train hard unless you are rested. One day of rest per week at a minimum, more for beginners. This is the minutes-per-mile pace you plan on running on race day. These miles train your body to run at your goal half-marathon pace. Start with a 1- to 2-mile warm-up before the race-pace portion. Cool down with a final 1 to 2 easy miles. For the last 5 to 10 minutes of a LR, simply shift up slightly from your LR pace (about 20 to 30 seconds per mile faster). These finishes teach your body that it can push when tired. Tempo runs are often described as “comfortably hard.” Breathing will be labored and conversation is difficult. Consciously try to stay relaxed while running reasonably fast. Start with a 1- to 2-mile warm-up and then ease into the tempo portion. Typically the last half of the tempo effort is when you start really “feeling” it. Aim for a consistent pace. Cool down with a final 1 to 2 easy miles. Activities beyond running build your fitness while avoiding burnout. Good options include swimming, cycling, strength training and yoga. Keep the effort at a moderate level to avoid being overly sore for the next day’s run. Aim for 30 to 60 minutes.